Elle Reeve, of VICE News, with white supremacist Chris Cantwell at the Unite the Right Rally in Charlottesville. 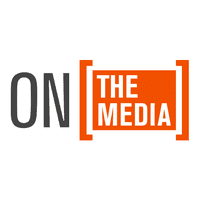 BOB GARFIELD: From WNYC in New York, this is On the Media. I’m Bob Garfield. BROOKE GLADSTONE: And I'm Brooke Gladstone. It seems that many an otherwise fine journalist is accident prone when it comes to covering white supremacists as when in the hours after the horrific school shooting in Parkland, Florida a sinister connection emerged and was duly reported. MALE CORRESPONDENT: The suspect, 19-year-old Nikolas Cruz, is in court right now, and this morning we learned he had ties to a white supremacist group called Republic of Florida. FEMALE CORRESPONDENT: Today the investigator said that that had looked into it but they found no evidence that he had any ties with those white supremacist groups. BROOKE GLADSTONE: And there are other instances when coverage of the alt-right got a bit glitchy. In late 2017, a New York Times profile of self-styled white nationalist Tony Hovater was slammed for its perceived kid-glove treatment of its subject. A 2016 Mother Jones profile of alt-right avatar Richard Spencer is still mocked for its description of his “prom king good looks.” NPR was criticized just this month for mishandling an interview with white supremacist Jason Kessler for even interviewing him at all. BOB GARFIELD: We wondered if you had any concerns regarding coverage of right-wing movements. It turns out you did. Here’s Kevan Gavim, Charles Brickman and Malina Tessier. KEVAN GAVIM: As a Persian American, as someone who cannot pass as white, it’s terrifying to see how polite journalism have been portraying the alt-right. CHARLES BRICKMAN: The New York Times, their coverage seems insane, way too gentle. MALINA TESSIER: So my question for you all is, how do you cover the rise of the so-called “alt-right” movement without giving these people a platform? BOB GARFIELD: Excellent question. Lois Beckett is a reporter for Guardian US, assigned to cover the far right since the election of Donald Trump. Not too long ago, she came to us with questions of her own. We’re re-airing this episode today because it turns out to be, sadly, still releveant. LOIS BECKETT: For the past year, I've been showing up at white nationalist rallies, taking their pictures, writing down what they say. This is part of my job now as a political reporter, interviewing Nazis. And I’m constantly thinking, how did we get here and what are the consequences of giving them so much coverage? BROOKE GLADSTONE: So we said we’d help her find answers and assigned her our veteran producer, Jesse Brenneman. Hi, Jesse. But she was going to have to do the legwork. That’s why Lois is hosting this episode. ELLE REEVE: -- we’re being told to disperse. Some of the alt-right are being pushed out. LOIS BECKETT: Elle Reeve is a correspondent for VICE News Tonight. You might remember her from the acclaimed 2017 documentary, Charlottesville: Race and Terror, documenting the infamous Unite the Right rally in Charlottesville, Virginia. RIGHT-WING RALLIERS CHANTING: Jews will not replace us! Blood and soil! Blood and soil! LOIS BECKETT: Elle first starting following the burgeoning alt-right two years before that, on an anonymous message board known as 4chan. ELLE REEVE: I was on 4chan the day that Microsoft launched a chat bot called Tay. She was supposed to be on Twitter and Instagram and learn from how people talked and interact with them to talk more human. And within, I don’t know, maybe 18 hours, 4chan figured out how to turn her into a Nazi. And it was incredible, these guys all working together with this collective inside joke that was horrible. LOIS BECKETT: She watched as that inside joke began to manifest in the outside world. ELLE REEVE: They started this like half winking, half sincere campaign that Hillary was basically dying. PAUL JOSEPH WATSON: What on earth could be the reason behind Hillary Clinton's bizarre behavior, weird seizures, psychotic facial tics, over-exaggerated reactions? ELLE REEVE: And they pushed this and pushed this and they would do slow-motion videos and they would do editing. And then when Hillary actually got sick, everyone was picking up on this old conspiracy theory. MALE CORRESPONDENT: So the questions today after Hillary Clinton’s health scare. She has been diagnosed with pneumonia. FEMALE CORRESPONDENT: This video is raising serious questions about the Democratic nominee’s health. FEMALE CORRESPONDENT: Donald Trump has used all that to claim Clinton is hiding a serious health problem. ELLE REEVE: I read the essays about how to manipulate the media, I started seeing this phrase, “We meme things into reality.” They understand that for content-starved news organizations, stuff that’s happening on social media becomes content. And then if you do a story about that, then people talking about that content will become new content. LOIS BECKETT: Consider the coverage of the Parkland shooting. The media didn't just get it wrong, they got played. The posts on 4chan cited by the Anti-Defamation League, claiming that the shooter belonged to a white supremacist group were followed later by more posts, claiming it had all been a ploy to dupe the media. And it wasn't the first time. ANNA MERLAN: When Nazis and white supremacists talk to mainstream reporters, they’re doing it for a reason. LOIS BECKETT: Anna Merlan is a reporter for Gizmodo Media’s special projects desk. She says neo-Nazis see reporters as pawns. ANNA MERLAN: A lot of reporters don't have a strong internet fluency, so they're unable to find the places where Nazis are talking to each other, what they're saying in public versus what they're saying on a place like Gab, which is a social media network that a lot of white supremacists use. LOIS BECKETT: After the Parkland shooting, a reporter monitoring Gab would have seen white supremacists crowing about tricking the media, posting that all it takes is a single article and everyone else picks up the story. That's why reporters on this beat monitor Gab. They listen to extremist podcasts. Eventually, all that racism takes a toll. ELLE REEVE: They’re saying it with such bile. ELLE REEVE: And like you have to turn it off. I, I limit myself to how much I listen to. LOIS BECKETT: Real-world reporting on neo-Nazis can be even trickier. VEGAS TENOLD: I kind of make a joke that I’m their enemy in the sense that I’m a Norwegian socialist. LOIS BECKETT: Journalist Vegas Tenold is the author of Everything You Love Will Burn, which chronicles his time covering the far right over the last seven years. VEGAS TENOLD: I’ve tried to be disarming about it, and I think they were kind of taken aback by, okay, this guy, you know, doesn’t share a single one of our opinions but we can still kinda talk a little bit. LOIS BECKETT: But that proximity also comes with risk, as Vegas realized one night as he sat with Matthew Heimbach, cofounder of the neo-Nazi Traditionalist Worker Party. VEGAS TENOLD: There’s a moment where I realized that I hadn't asked Matthew questions about the Holocaust. LOIS BECKETT: How many years has it been that you've been hanging out with him, at that point? VEGAS TENOLD: I would say three years. LOIS BECKETT: -- eating pancakes, and he says, Vegas, you’ve never asked me about the Holocaust. VEGAS TENOLD: And it took me aback. I mean, when you spend a lot of times with Klan people and skinheads, you hear a lot of crazy conspiracies, a lot of slurs, and it, and it’s exhausting. And, and Matthew doesn't speak in that way. And I realized that maybe I hadn't asked him this question because he had become kind of like a, a break from the awfulness. So it made me kind of question, had I been doing a sufficiently good job as a journalist, had I failed myself and my readers? And, obviously, I asked him that question. I said, okay, I’ll bite. So what do you think of the Holocaust? And I, and I got all the misguided horrible, oh, there’s, there’s no way all these people would fit in the crematoriums, yada-yada-yada. And, you know, that was kind of a reset button. It reminded me again that even though, you know, we can listen to TOTO and we can talk about Dungeons & Dragons, there is this wide chasm of belief that we can never, ever cross. LOIS BECKETT: They’ll do a lot to distract you, these groups of young white men in their weird uniforms with their handmade shields. ELLE REEVE: I do understand the urge to ridicule these guys. ELLE REEVE: It’s easier to laugh at them as like basement- dwelling losers. But, first of all, they’re beating you to the punch on that joke. And like basement-dwelling losers vote and they try to convince their friends and loved ones to join their side. Like, they still have power. Just because they have an ideology that's morally bankrupt does not mean they're stupid. LOIS BECKETT: And we can’t assume that it's not necessary to explain why they are wrong, that if given a mic the ugliness of their beliefs will do the job for us. AL LETSON: Push, push, push on everything. LOIS BECKETT: Al Letson is the host of Reveal, a public radio show from the Center for Investigative Reporting. He’s interviewed alt-right figurehead Richard Spencer twice. AL LETSON: One of the things that I do when I'm talking to these people is I just want them to break it down to me like I’m a five-year-old so it’s plain and clear. What’s at stake isn’t like a, a political idea. What’s at stake is that Richard Spencer wants people to be shipped out of the United States and make it an all-white nation. And the only way that's going to happen is if you forcibly remove people and if you kill a lot of people. That, that’s it. 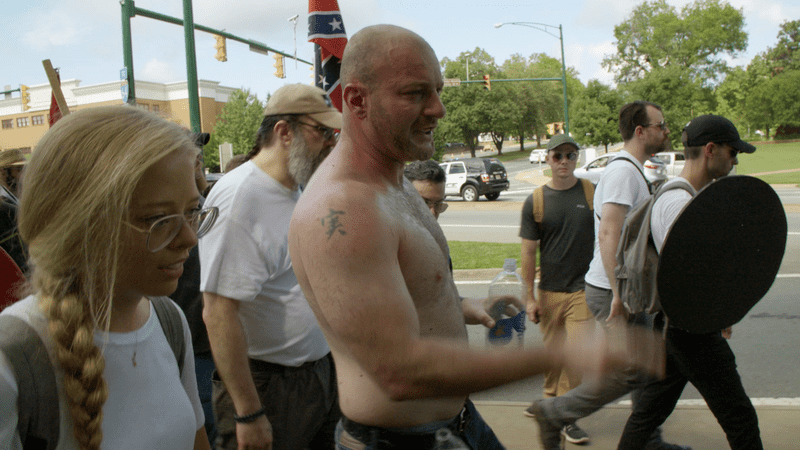 ANNA MERLAN: When we were at the Pikeville rally in Kentucky, I overheard a mainstream documentarian talking to somebody from the National Socialist Movement and just sort of uh-uh’ing along with what he was saying. ANNA MERLAN: And he said, have you heard about the Jewish control the World Bank or something, and she said, I haven’t really looked into it, just not doing the work of pushing back on what he was saying and doing it, and it made me feel like our presence there was harmful. LOIS BECKETT: If there's one thing that sums up the criticism directed at the media over the last year, it’s this perceived lack of confrontation and the fear that these people and their beliefs are being normalized. The journalists I spoke with agreed. When Elle was in Charlottesville, she interviewed the white supremacist Chris Cantwell. CHRIS CANTWELL: I'm, I’m here to spread ideas, talk, in the hopes that somebody more capable will come along and do that, somebody like Donald Trump who does not give his daughter to a Jew. ELLE REEVE: So Donald Trump but like more racist. CHRIS CANTWELL: A lot more racist than Donald Trump. LOIS BECKETT: She knew that not everyone would be happy with her work. ELLE REEVE: Well, what they want is for me to punch him in the face, which I’m not gonna do. And I asked questions that I think people would have found more emotionally satisfying. You know, Cantwell claims that African Americans have low IQ and that’s why they’re prone to crime, so I asked him, well, you’ve got a criminal record, is that a sign you have low IQ? And he ranted and he raved and got all mad at me but ultimately the answer wasn't very telling, so I didn’t use that. LOIS BECKETT: In other words, just because it feels satisfying doesn't mean it's useful. Also, just because it feels bad doesn't mean it isn't important. Vegas Tenold. VEGAS TENOLD: People have asked me, like, how do you go reporting on these people who are so awful and who you disagree with? And my response is I was like, why, why wouldn’t I? Why shouldn’t we seek to understand what we find awful and abhorrent? LOIS BECKETT: What about the critique that any attention is counterproductive? Experts at the Data and Society Research Institute warn that even critical stories will amplify extremist talking points. In a podcast from December, 2016, you can hear Richard Spencer and his neo-Nazi friends celebrating just how amazing the media coverage has been. RICHARD SPENCER: We have gone to a new level of interest. Most [LAUGHS] most all of these media sources are going to be negative but we are able to communicate through the media. AL LETSON: You know, I’ve gotten into plenty of conversations with people who feel like I should never interview Richard Spencer, that he should just be left in the wind. AL LETSON: If we allow these people to go off and create their own communities without putting light on them, without really trying to excavate like what their true intentions are, then I think it grows. You have to be able to, like, see the cancer, know what it is and go out and take it out. VEGAS TENOLD: I remembered a talk I'd had with Jeff Schoep, the commander of the National Socialist Movement, the first time I met him back in Trenton, New Jersey in 2011. VEGAS TENOLD: He was telling me that, you know, we should run for Congress. And I said, well, how are you guys ever gonna get elected, saying the things you say, believing the things they do? The American people will never accept it. And he just told me that the American people will accept a candidate with these views, if he appeals to people's fear, to a sense of aggrievement. Jeff Schoep was right seven years ago. LOIS BECKETT: Okay, so what would better coverage look like? For starters, says Elle Reeve, journalists can't afford to be naïve. ELLE REEVE: White male journalists are particularly vulnerable to the idea that these guys are fighting for free speech. You know, they know how to manipulate you, and don't be a sucker to that. They don’t actually believe in free speech. If they were in charge, there would be no Bill of Rights. They make fun of it. LOIS BECKETT: Vegas Tenold says reporters should resist or at least contextualize intentional provocations. VEGAS TENOLD: The Klan will put some flyers on some cars in a parking lot in Raleigh, North Carolina and all of a sudden, like, all the journalists go there. And, you know, that’s well and good If the crime is marching in the street we should talk about it, but we need to talk about the bigger issue, about how what they say and what they believe has made its way into the mainstream. We can’t just sort of fear monger that, oh, the Klan is marching again. Yes, they are but we also have this more potent form of nationalism. AL LETSON: A lot of times when we’d see these Trump rallies, it was done with this weird voyeurism of like, oh, look at how crazy these people are and how they’re treating this black man or this black woman, but not actually really diving into like what was the undercurrent beyond that? What about the communities that are being affected? AL LETSON: I just don’t think that enough has been screamed about how gerrymandering has affected our political process, that the Voting Rights Act was basically gutted by the Supreme Court. If we had more context on those stories, it may have changed the way we looked at the election and also how we looked at these white supremacists. ANNA MERLAN: Too often, stories about white supremacy present every white supremacist movement as really new and really shocking. ANNA MERLAN: We've had big waves of [LAUGHS] white supremacist movements in this country for a long time, and so to be ignorant about how those movements came about and how they were dismantled is not helpful. It’s not helpful for the reader and it allows these movements to make themselves sound like they’re at the cutting edge of something. LOIS BECKETT: Which they very much are not.